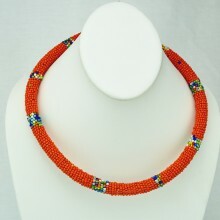 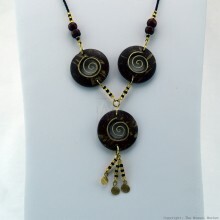 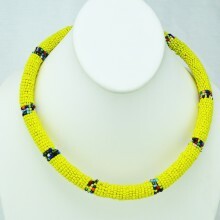 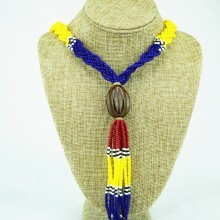 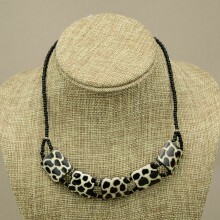 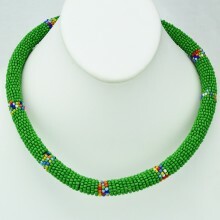 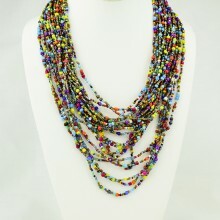 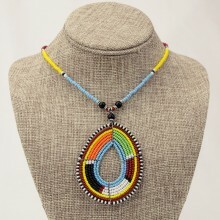 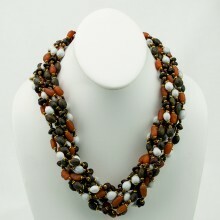 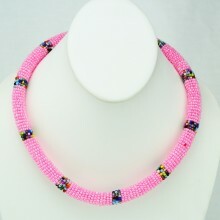 This necklace is made up of a combination of handmade beads from Kenya and Ghana. 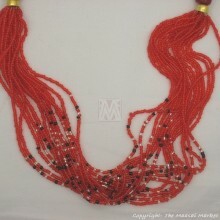 The beads are made of different materials. 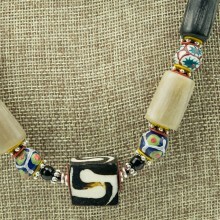 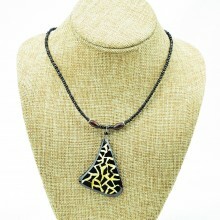 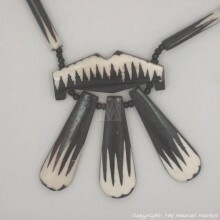 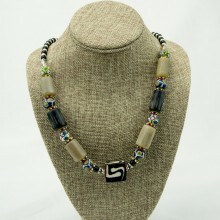 The center cubed bead is made out of cow bone with a mudcloth batik print. 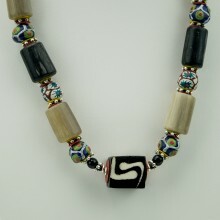 It has eight krobo glass beads from Ghana and six cow horn beads from Kenya. 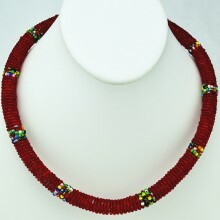 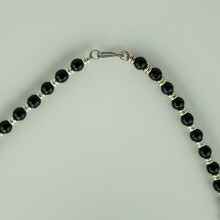 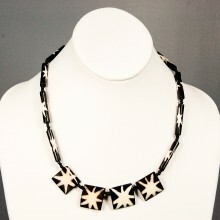 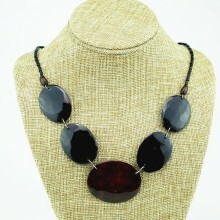 Its accented with other metal and glass beads.